The Formentera culture and education departments are announcing updated opening hours at several of the island's library facilities. 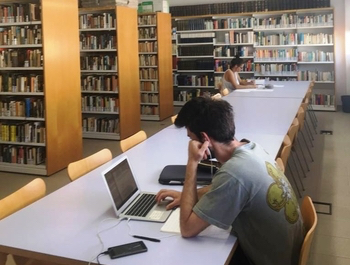 From June 15 to September 15, Biblioteca Marià Villangómez, the adjacent computer lab (el Telecentre) and Sant Ferran's public library will all observe summertime hours. New hours will also be observed at AISF, Formentera's image and sound archive, where summertime visits will be by appointment only. Visitors are asked to phone the CiF office of culture or send an email to AISF. The schedule change is determined by the academic calendar, and coincides with a shift in the typical profile of visitors to the libraries in summer. The shuffle makes it possible for staff to carry out certain seasonal activities as well, like cleaning, revising the full catalogue, decluttering storage space and reorganising files.